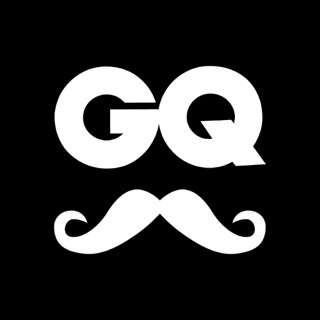 GQ is the world's leading men's magazine, dedicated to bringing you the best in men's fashion, lifestyle and entertainment. 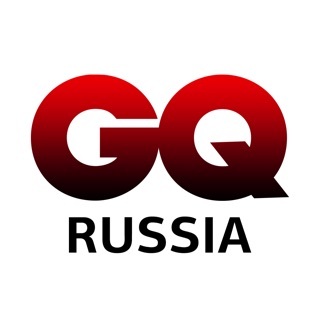 Style, sport, health, humour, politics, music… GQ covers it all with intelligence and imagination. 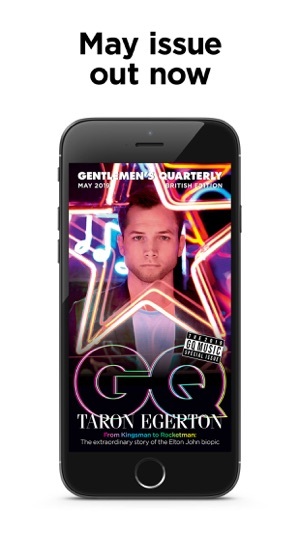 Our AWARD-WINNING APP lets you to delve deeper into mind of GQ. Each issue, we open our pages to the most stylish men, the most beautiful women, and the most authoritative political figures in the world. We review the latest films, music, gadgets and cars, and give you all the fashion and grooming advice you need. 1-year subscription for £22.99 + Start with a 30-day FREE TRIAL! Your subscription will automatically renew unless auto-renew is turned off at least 24 hours before the end of the current period. Your iTunes account will automatically be charged at the same price for renewal within 24-hours prior to the end of the current period, at the same period length, unless you change your subscriptions preferences in your settings. You can manage your subscriptions through your Account Settings after purchase, though no cancellation of the current subscription will be allowed during an active subscription period. 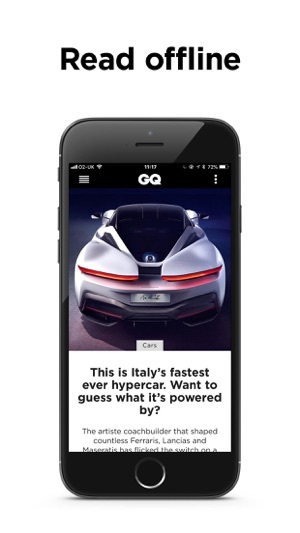 The latest March 2018 issue no longer features the mobile view of the magazine on iPhone X making it virtually impossible to read without constant pinching and zooming of the text. 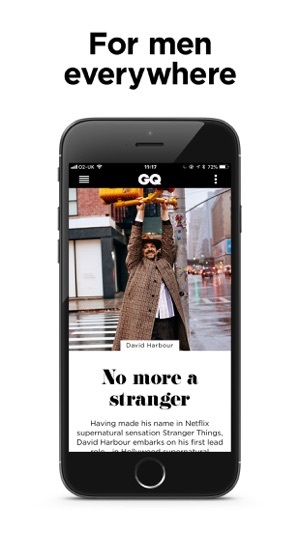 While the mobile format had some quirks with its indexing of the magazine, it was very easy to read the text. Please restore the mobile version with the “read” feature. The iPad version works perfectly. 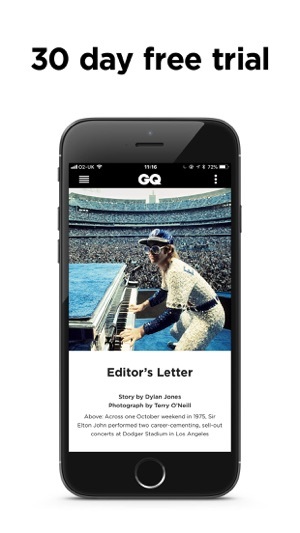 The newly released app goes a long way to addressing the readability problem for current and future issues of the magazine. However, it renders its archive of previous issues to virtually functionless pdf copies. 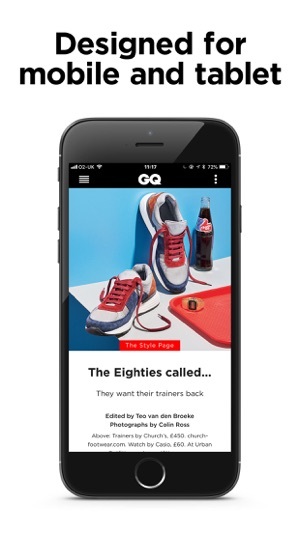 It would be nice if the old app was released as an “archive” reader for past issues created for the old format. There used to be a lot of interaction and video content etc. when I first subscribed to the app it was a beauty. Now it’s bland and lame. Brilliant, with room for improvement. Congratulations for the smashing app, it's truly wonderful. I'm a Brit living in Seattle, and am very grateful to be able to check in with the true style authority (everyone here is wearing crocs and fleece and lumberjack stuff...it's a lovely town but everyone looks dreadful). Maybe issues could download in the background too...I had to sit and wait for this issue to d/load as opposed to be able to check mail while I waited. I am absolutely delighted with this app. Bravo.